Hi Crafty friends! Rhonda here today to host the blog with a creation using pieces from the July Club Q. I loved the feel of the elements in the kit and wanted to play a little bit on the chalkboard feel of the black background pattern paper a bit. The title is attached with foam dots for dimension. 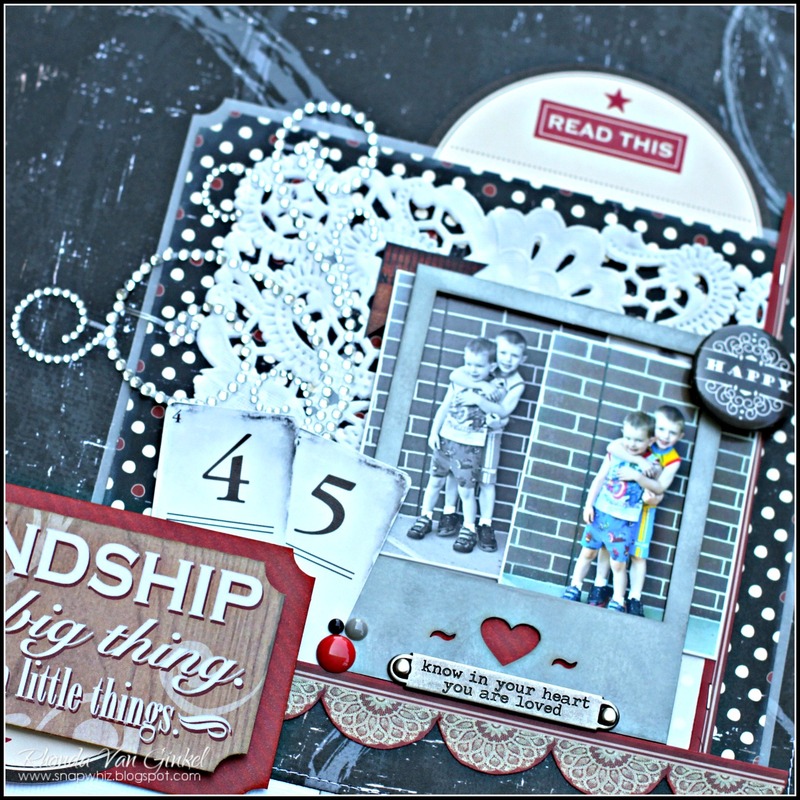 I loved the title and of course the chipboard polaroid frames too! The touch of doily softens the background a bit. The photo was my inspiration and was taken during pajama day at the boys preschool. I loved the backdrop and how sweet they are to each other. I added a few other tidbits of things from my stash that worked with the theme. 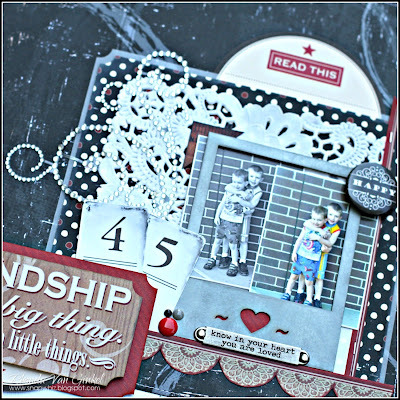 Other: Want2Scrap Bling, Flair by Fancy Pants, Word Bands, Tiny Attacher and Mini Cards by Tim Holtz for Ideaology, Journaling Block by Jenni Bowlin Studio, Cardstock by American Crafts, Enamel Dots by MME. Thanks so much for stopping on over today to visit us here at Quick Quotes! Love the look of chalkboard that went well with the school photo. 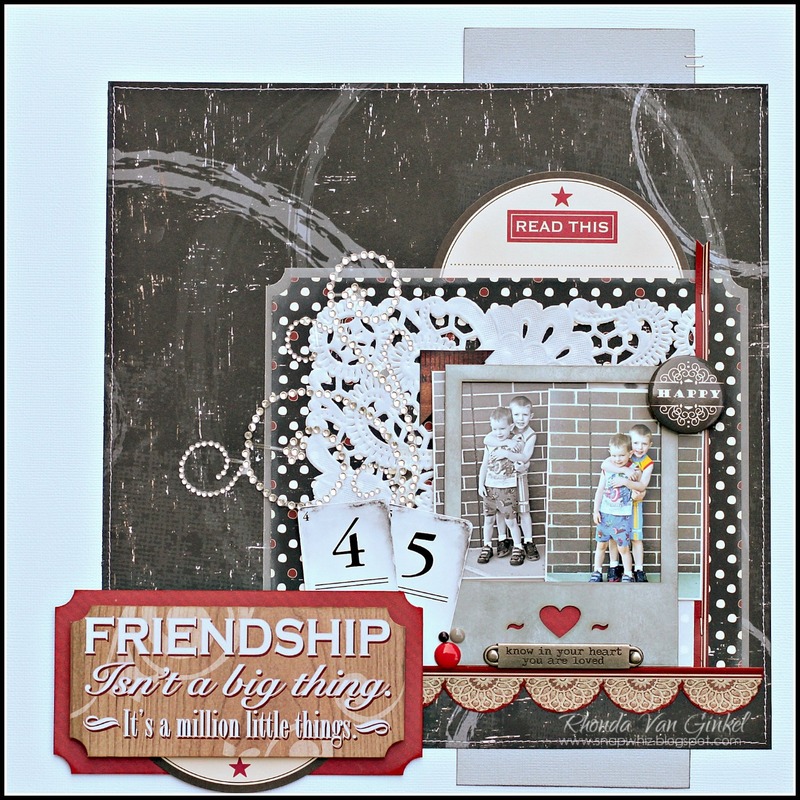 Gorgeous page Rhonda! I LOVE the photos and the pop of red!